I was working with a business owner who wants to step back from his business. 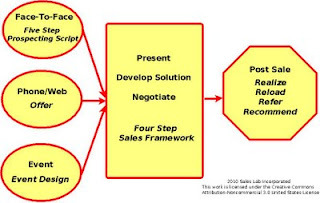 He has learned that means getting sales help, since in its absence, he has learned that sales is the most important thing he does. I showed him the Sales Model, and he understood it immediately. I spend over 80% of my time in the left hand column. Somehow there is always plenty of time for making the sale and following up, and he appreciated that being in the model meant they were more likely to be executed. I explained that at his level, reporting has little to do with selling and setting up a successful reporting structure would take more work than it could ever justify. As I heard last week, telling the truth isn’t integrity. Telling the truth is table stakes to get in the game. 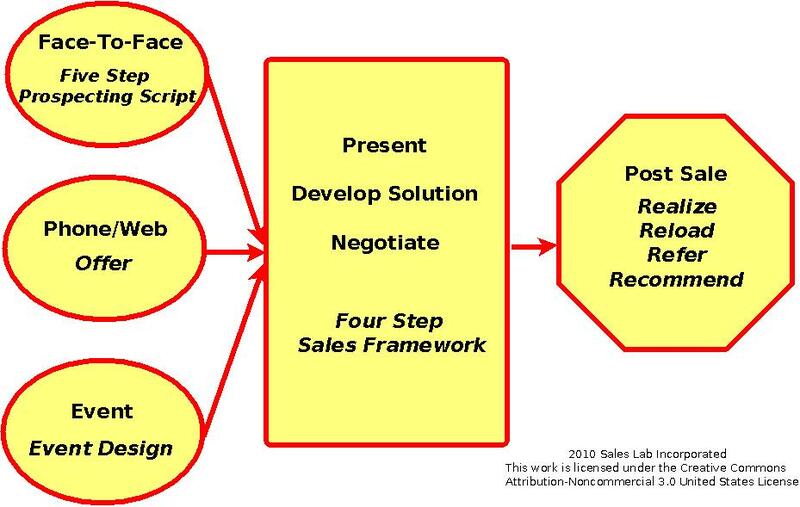 The sales model is clean and straightforward. The status meeting gives great support to the effort and strengthens the organization against the external competition. Say what you'll do, give the results, identify what is undone (and why), share what you've learned about the marketplace, say what you'll do by next status meeting. Done with peers as a mandatory meeting, this is a powerful and efficient tool - and can be done in just a few minutes per person. Celebrate!! Celebrate!! Dance to the Music! Leadership or Management? Who Cares? Burn The Boats – We aren’t going back!